We’re all about SMS marketing, clearly. Think of it this way. People love texting. People also love deals. Why not marry these two concepts into one, easy to execute marketing strategy? And that’s essentially how our awesome company came into existence. So, here’s a question. What makes SMS marketing a notch above the rest? Check out these three large opportunities SMS offers. In comparison, other marketing tactics just aren’t quite up to par when it comes to these three benefits. There’s a huge opportunity for high level segmentation. On the most basic level, you can offer segmentation by geographic location. But, if you take advantage of our custom fields feature, you can segment by any unique identifier of your choosing. This includes, for example; date of last purchase, level of account activity, birthday, average order value, and more. Oh the possibilities! That’s right, this is a marketer’s dream come true. Our new mobile coupon feature makes offer redemption a total breeze. We recently launched a feature that allows you to fire out web hosted coupons to SMS marketing subscribers. This totally streamlines and optimizes the offer redemption process. We definitely recommend giving it a try. You get to experience the power of instant communication. Did you know that 99% of all text messages are opened within five minutes or less? To take it one step further, 95% of text messages are opened within five seconds or less. How’s that for instantaneous? 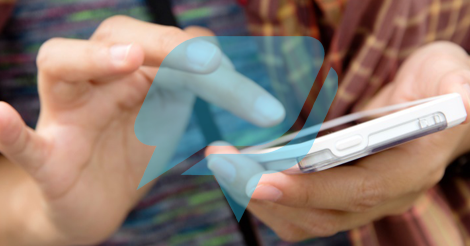 SMS marketing offers immediate gratification; both for the sender and the receiver. Ready to get started? Give us a ring today at 1.800.688.6290. All about that self motivated life? Then skip the phone call, head over to our pricing page, and sign up for your affordable SMS marketing plan. If you have any questions, reach out. Seriously, we’re like waiting on your calls. We want to help you. We want to show you how to grow your list and experience SMS success.